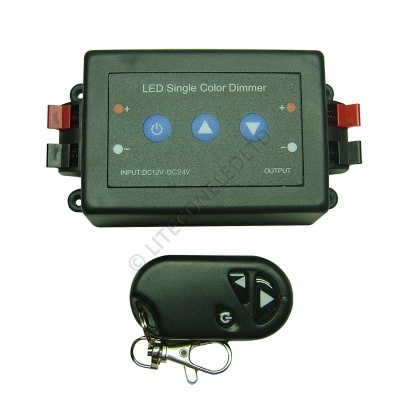 This manual dimming controller has the advantage of both a remote key fob and buttons on the actual controller to control both the brightness and switch on/off the Led strip lights. 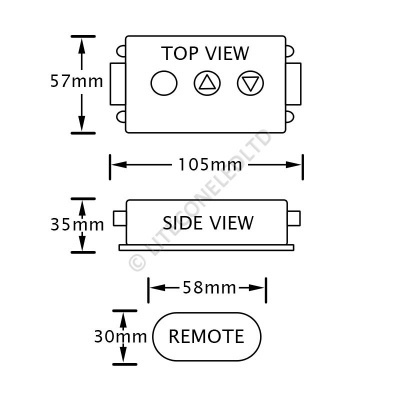 The remote key fob is coded to the controller and can't be paired with another controller. This controller works with all our single colour strips to control the brightness of the strip.